Paul Tippetts travelled from Shropshire to judge the large classes of Beltex at the National Progeny Show Penrith, he commented “congratulations to exhibitors on a fantastic show of sheep with quality throughout all the classes”. The constant heavy rain did not deter exhibitors form showcasing the Beltex breed. 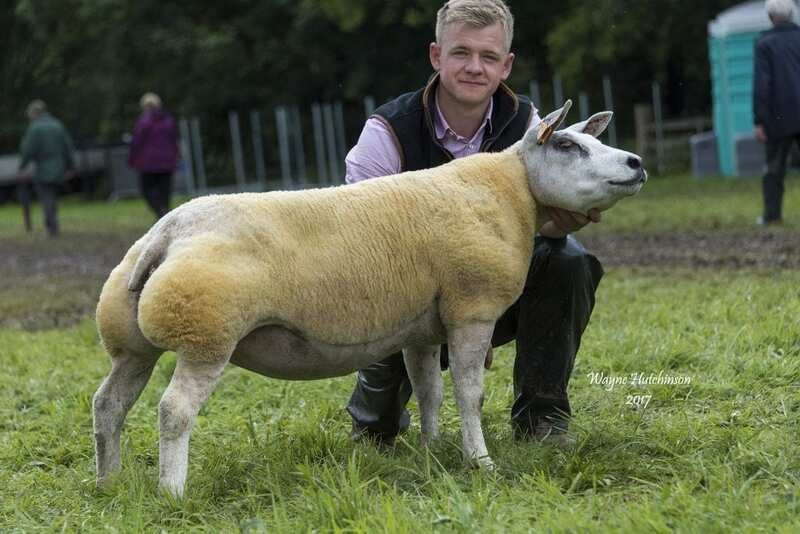 Overall champion was the female champion a two shear ewe from the Buckle family, this female had previously stood breed champion and interbreed champion at the Great Yorkshire Show, this was College Adele sired by a Kingledores tup and bred by EJ and AM Fox being purchased from the College flock sale at Carlisle in December 2016. Judge Paul Tippetts commented his champion “as an outstanding Beltex with great conformation and being very correct”. Reserve champion was the male champion and first prize shearling ram from Henry Jewitt, “Jewitt Brave Heart” sired by a Belvoir sire and out of a homebred female. Reserve male champion was the first prize ram lamb from Harry Wood this being sired by Matt’s Abracadabra and out of a homebred female. The Dean Brow flock also won the shearling ewe and ewe lamb class. Reserve female champion was the second prize aged ewe Buckles Watercress sired by a Broxty tup and out of an imported ewe from Andrew Wood. 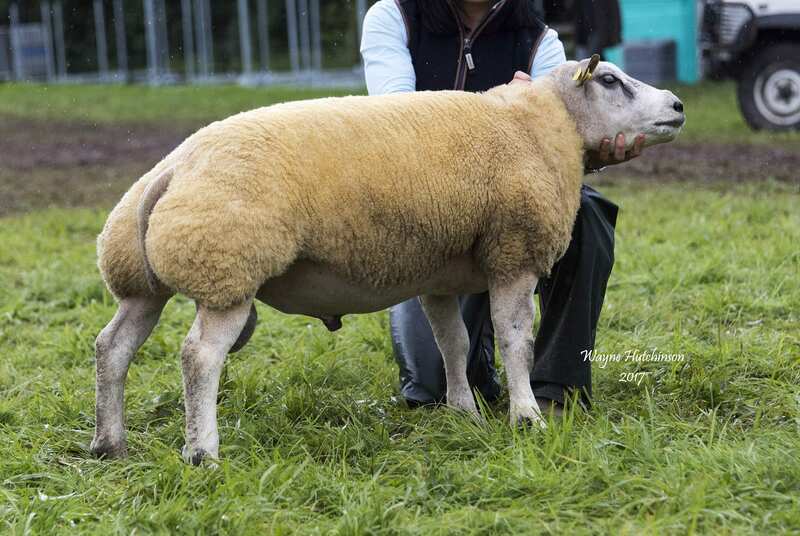 The Buckle family won the aged tup class with Buckles Winning Line sired by Ardstewart Super Mario and team Buckle also won the group of three. Martin, Val and Hannah Brown won the butchers lamb championship with three quality lambs sired by a Northern Beltex ram. Congratulations to the judge and all exhibitors for an excellent show of Beltex in extremely wet conditions.